Need I say more? 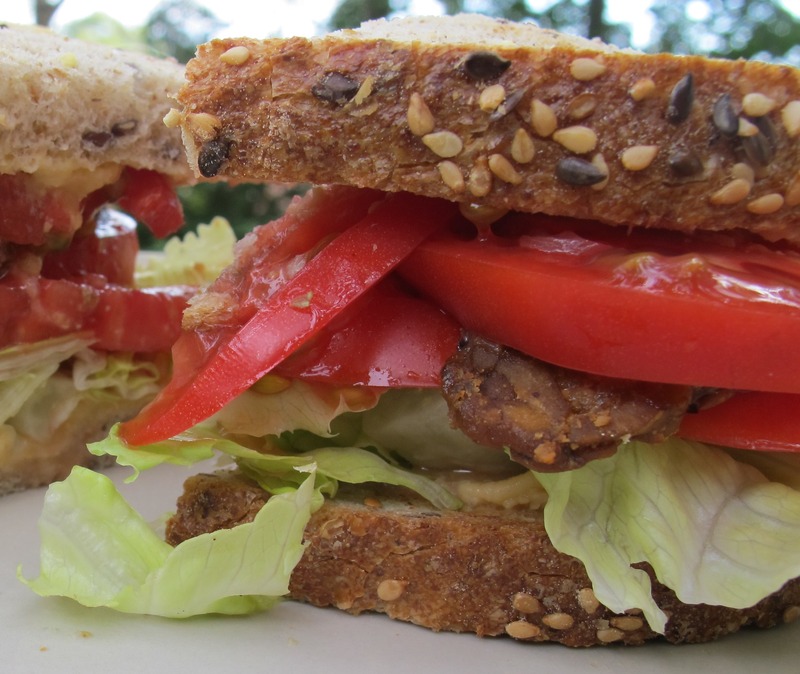 Heirloom tomatoes are at their peak and it is time to make this newly re-tooled, kinder, healthier version of a BLT. 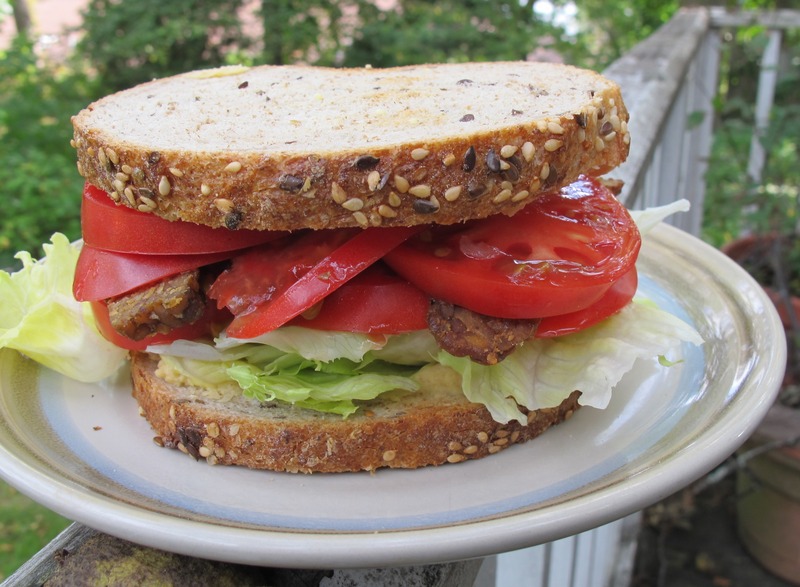 This beauty uses Nantucket Bakery’s multigrain bread, homemade hummus, delicious tomatoes from Brickyard Farms, and my tempeh bacon.